Wishing you a special and Happy Birthday. 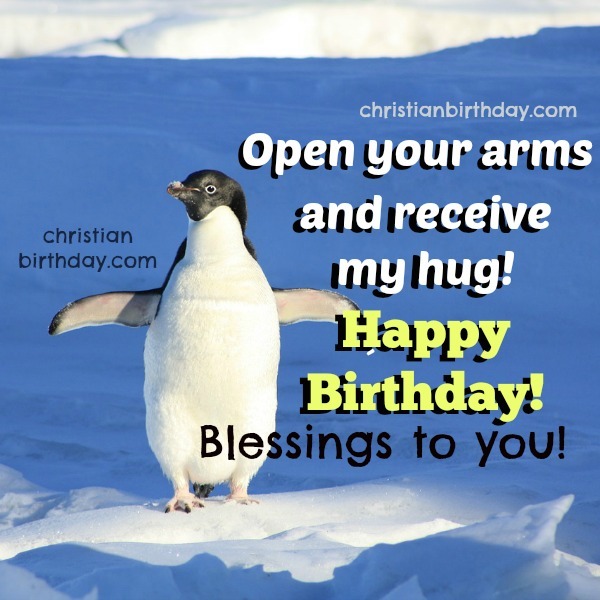 Free christian card for son, man, children, free image with funny penguin, blessings, happy birthday to you. Mery Bracho birthday cards.